sysd = c2d(sys,Ts) discretizes the continuous-time dynamic system model sys using zero-order hold on the inputs and a sample time of Ts seconds. sysd = c2d(sys,Ts,method) discretizes sys using the specified discretization method method. sysd = c2d(sys,Ts,opts) discretizes sys using the option set opts, specified using the c2dOptions command. [sysd,G] = c2d(sys,Ts,method) returns a matrix, G that maps the continuous initial conditions x0 and u0 of the state-space model sys to the discrete-time initial state vector x. method is optional. To specify additional discretization options, use [sysd,G] = c2d(sys,Ts,opts). 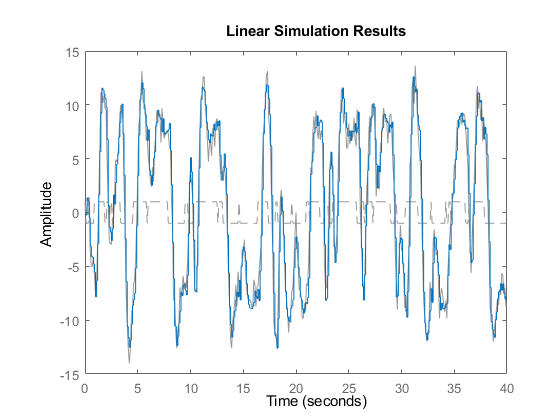 Continuous-time dynamic system model (except frequency response data models). sys can represent a SISO or MIMO system, except that the 'matched' discretization method supports SISO systems only. sys can have input/output or internal time delays; however, the 'matched', 'impulse', and least-squares' methods do not support state-space models with internal time delays. idgrey models whose FunctionType is 'c'. Convert to idss model first. idproc models. Convert to idtf or idpoly model first. For the syntax [sysd,G] = c2d(sys,Ts,opts), sys must be a state-space model. 'zoh' — Zero-order hold (default). Assumes the control inputs are piecewise constant over the sample time Ts. 'foh' — Triangle approximation (modified first-order hold). Assumes the control inputs are piecewise linear over the sample time Ts. For information about the algorithms for each conversion method, see Continuous-Discrete Conversion Methods. Discretization options. Create opts using c2dOptions. Discrete-time model of the same type as the input system sys. Includes both measured and noise components of sys. The innovations variance λ of the continuous-time identified model sys, stored in its NoiseVarianceproperty, is interpreted as the intensity of the spectral density of the noise spectrum. The noise variance in sysd is thus λ/Ts. Does not include the estimated parameter covariance of sys. If you want to translate the covariance while discretizing the model, use translatecov. For state-space models with time delays, c2d pads the matrix G with zeroes to account for additional states introduced by discretizing those delays. See Continuous-Discrete Conversion Methods for a discussion of modeling time delays in discretized systems. 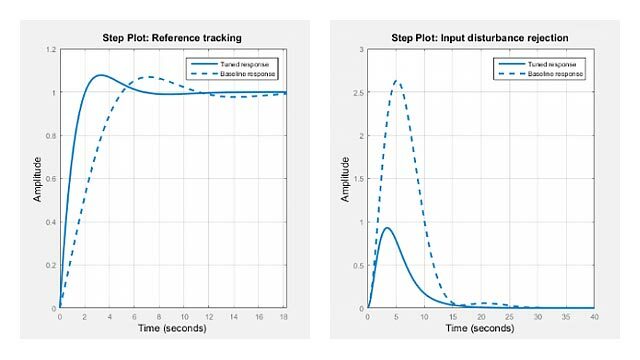 This system has an input delay of 0.3 s. Discretize the system using the triangle (first-order-hold) approximation with sample time Ts = 0.1 s.
Compare the step responses of the continuous-time and discretized systems. Discretize the following delayed transfer function using zero-order hold on the input, and a 10-Hz sampling rate. In this example, the discretized model hd has a delay of three sampling periods. The discretization algorithm absorbs the residual half-period delay into the coefficients of hd. 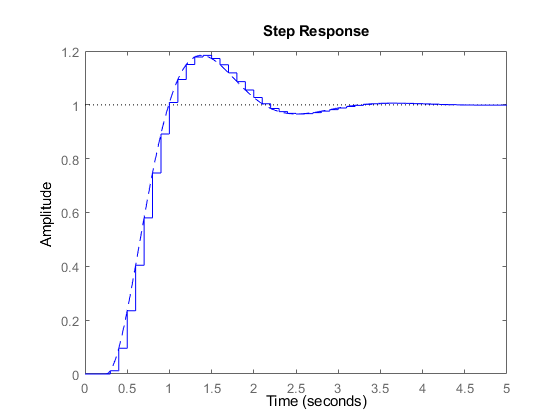 Compare the step responses of the continuous-time and discretized models. Create a continuous-time state-space model with two states and an input delay. Discretize the model using the Tustin discretization method and a Thiran filter to model fractional delays. The sample time Ts = 1 second. The discretized model now contains three additional states x3, x4, and x5 corresponding to a third-order Thiran filter. Since the time delay divided by the sample time is 2.7, the third-order Thiran filter ('FractDelayApproxOrder' = 3) can approximate the entire time delay. Estimate a continuous-time transfer function, and discretize it. Estimate a second order discrete-time transfer function. Compare the response of the discretized continuous-time transfer function model, sys1d, and the directly estimated discrete-time model, sys2d. The two systems are almost identical. Discretize an identified state-space model to build a one-step ahead predictor of its response. Create a continuous-time identified state-space model using estimation data. 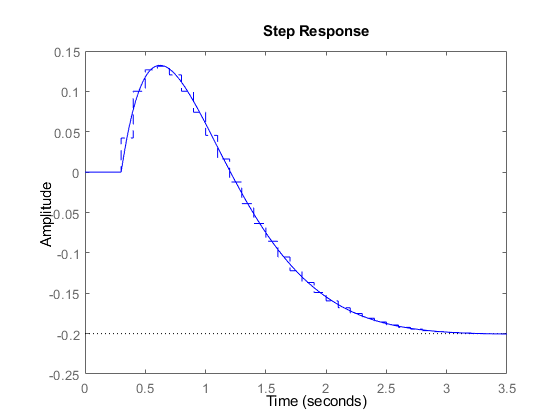 Predict the 1-step ahead predicted response of sysc. Build a predictor model from the discretized model, sysd. 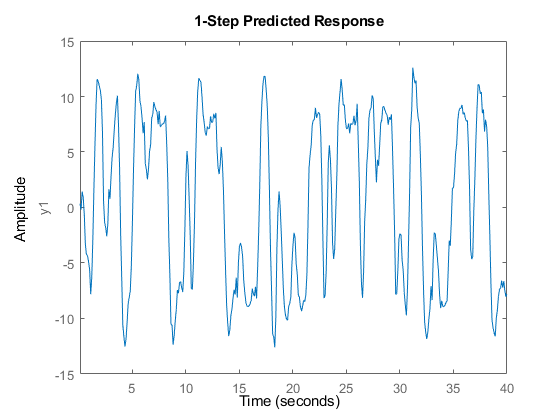 Predictor is a two-input model which uses the measured output and input signals ([z1.y z1.u]) to compute the 1-step predicted response of sysc. Simulate the predictor model to get the same response as the predict command. 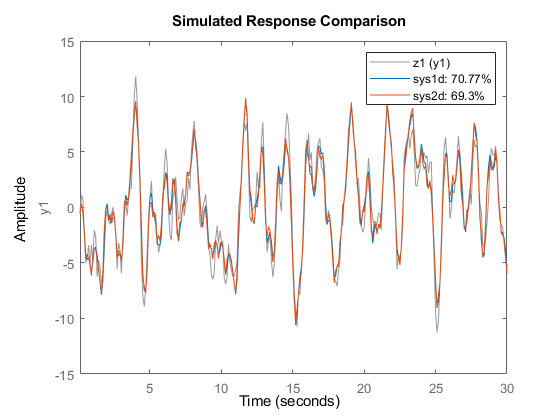 The simulation of the predictor model gives the same response as predict(sysc,z2). Use the syntax sysd = c2d(sys,Ts,method) to discretize sys using the default options for method. To specify additional discretization options, use the syntax sysd = c2d(sys,Ts,opts). To specify the tustin method with frequency prewarping (formerly known as the 'prewarp' method), use the PrewarpFrequency option of c2dOptions. For information about the algorithms for each c2d conversion method, see Continuous-Discrete Conversion Methods.